JBL-Basok | JBL Drug Laboratories. 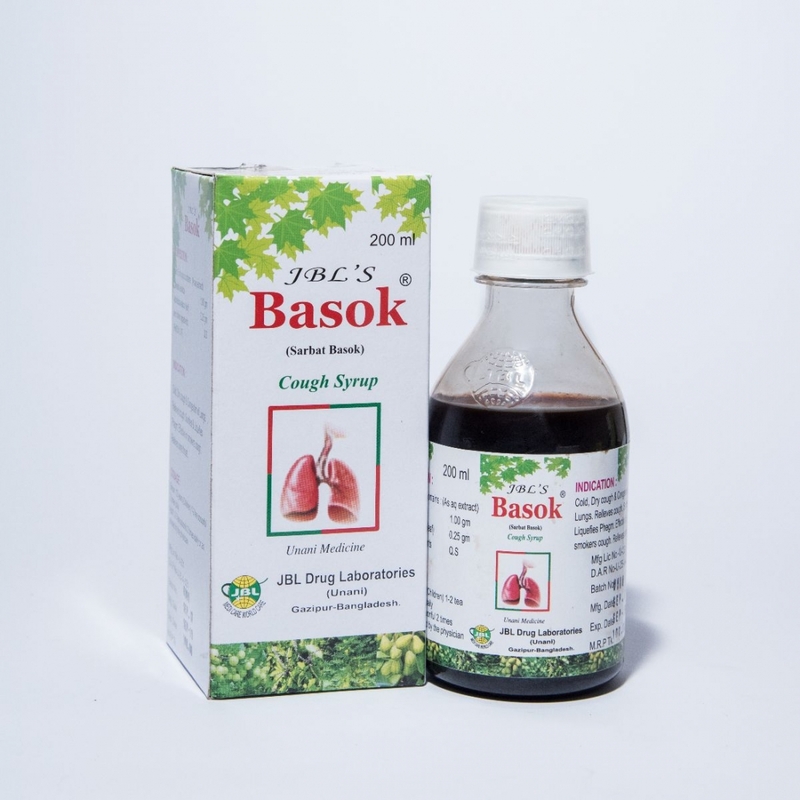 JBL’s Basok syrup is a justified combination of herbs that is used to treat cough and some other respiratory tract disorders. All of the herbs in this combination are clinically effective in case of cough and cold . It is effective , well tolerated , safe and non-sedating with expectorant and antihistaminic properties . 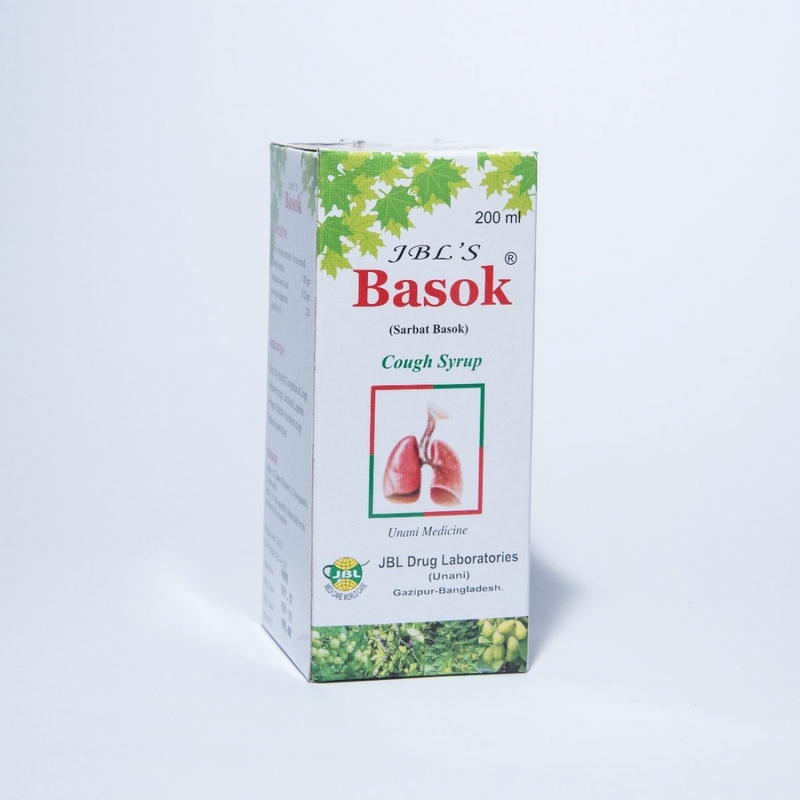 JBL’s Basok syrup is effective for both children and adults . It is free from side effects like drowsiness , constipation and dryness of mouth . 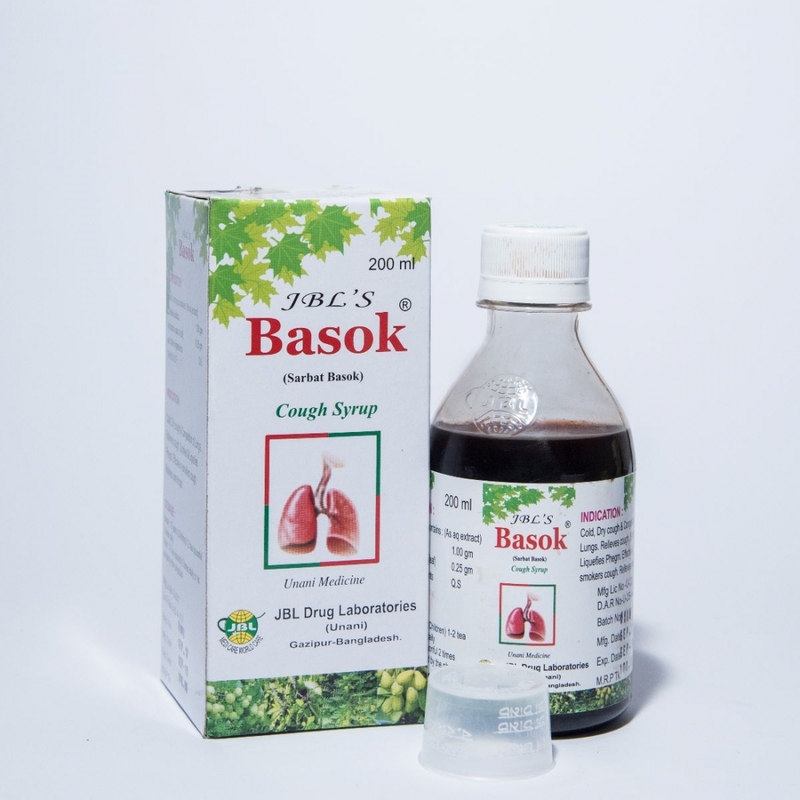 Relieves cough , bronchial spasm and breathlessness . It has also mucolytic and expectorant action . Store in a cool and dry place away from light . 100 ml & 200 ml PET Bottle . No known side effect with Unani preparation JBL’s Basok syrup .